You’ll also notice a huge improvement in the import quality when uploading and importing documents from desktop word processors into Google Docs. You’ll notice that some features, like drawings, the web clipboard, and table of contents, aren’t in the new editor yet. We’ll be adding them really soon, before we turn on the new editor for everyone. Other features like offline will take longer to get working again but are a high priority. If you want to try out the new editor, visit the Editing tab in the Google docs list settings. Check the box next to “New version of Google documents,” and all new and uploaded documents will be created in the new editor. For now, old documents will remain in the old editor. Let us know what you think in the forums. It’s been almost 4 years since we launched Google Docs. Back then people were excited about being able to access their documents from anywhere and edit those documents collaboratively online. 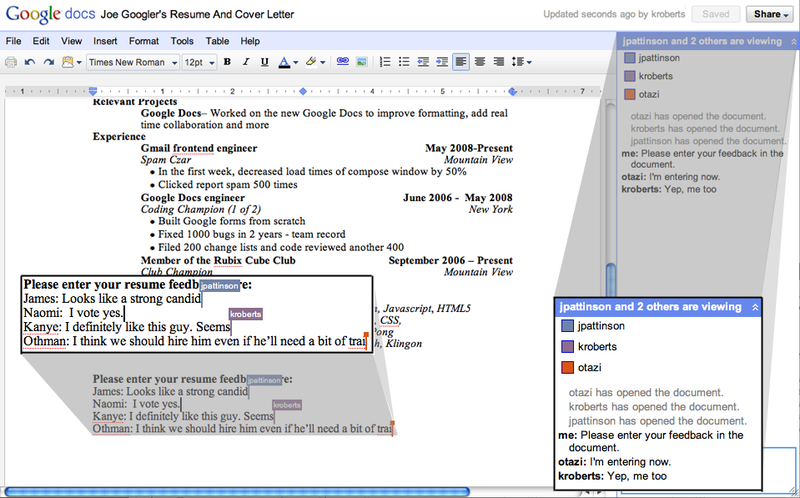 But as Google documents became more mainstream, we started to hear more and more of you asking for features like margins, tabs, and floating images that were only available in desktop word processors. To make these features possible, we started working on a complete rewrite of Google documents over a year ago. This week we released a preview of that new document editor for anyone who wants to try it out. This version supports a brand new ruler, alignment features, per-paragraph line spacing and more.